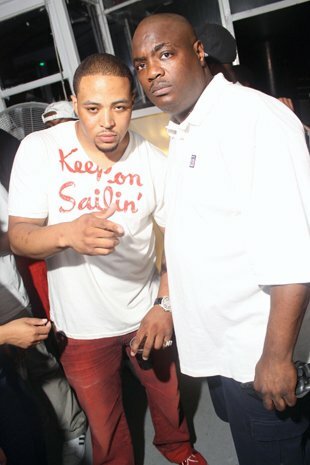 As Synco Powers, Vlad Calixte (aka Haitian V.), and I walked up to Pier 40 I thought to myself, “this crowd can’t be for one boat ride!” However, to my amazement, all of those people were there for DJ Stakz “Celebrity Status Bday Bash Boat Ride”. Try saying that ten times fast. DJ Stakz‘ annual boat ride did not disappoint. Not only did it not disappoint, it was the best boat ride of the summer so far. The event was promoted by Team HKNY and Hi-Profyle Entertainment. 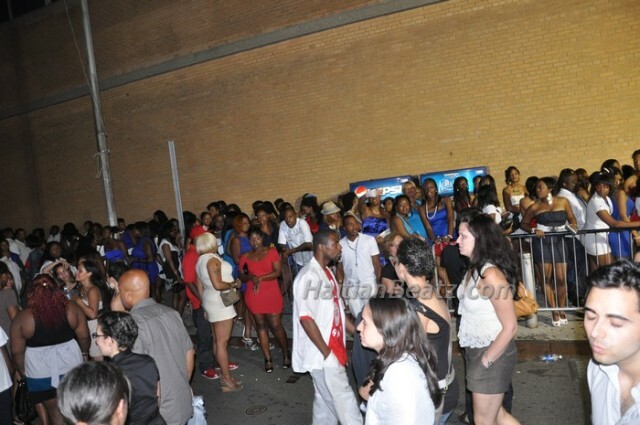 In case you didn’t know, HKNY and Hi-Profyle are at the forefront of Haitian-American events in the New York area. They have sold out venues such as Club Amazura, the Hammerstein Ballroom, and countless other venues throughout the area. So DJ Stakz’ birthday event was no different. As the boat left the dock a little after 2am you could feel the anticipation throughout the vessel. There were two sound systems set up on the three level boat. On the lowest level there were DJs playing strictly Kompa and Zouk. On the third level there was a mixture of R&B, Hip Hop, Reggae, Soca, and Kompa. The variety was amazing. As DJ Stakz proclaimed later in the night, this was truly “an international boat ride.” I spent most of my time on the third level. The night started off with Ontrack Disco playing R&B to warm up the many ladies on board. As the drinks were flowing and the crowd loosened up, Ontrack Disco transitioned into late 80’s Lover’s Rock reggae. Artists such as Papa San, Shabba Ranks, and Beres Hammond were helping to build up the vibe. As the energy built, SNL Boyz Synco and Ontrack went into a vibrant soca set. The party had officially gotten on its way. Next up was the birthday boy himself, DJ Stakz. I must say that Stakz definitely knew exactly how to control the crowd. He played a Kompa set that turned the boat upside down. The crowd seemed to sing out throughout the entire set. Haiti pride was definitely overflowing on the Hudson River. Every time DJ Stakz solicited for a response from the crowd they responded with great exuberance. It was truly a sight to see. 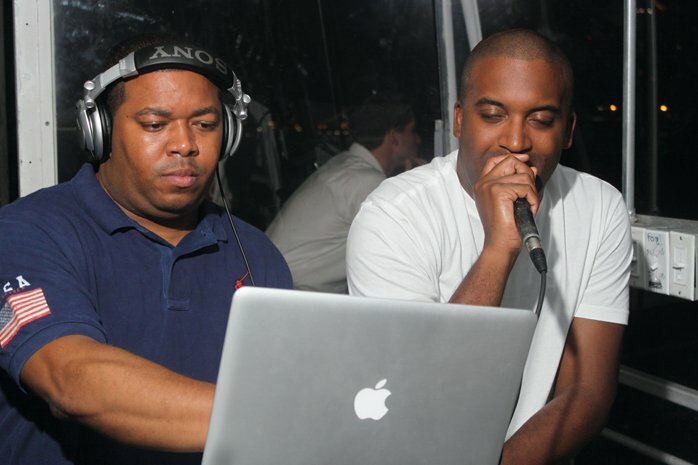 As DJ Stakz’ set was reaching its end, Hot 97’s Mr. Cee was preparing to come in next. At this point I leaned over to Ontrack and said “I don’t know how Cee is going to follow that set.” Ontrack simply replied with one word, “watch.” I didn’t expect to see what happened next. DJ Stakz introduced Mr. Cee and stayed on the microphone. Mr. Cee went into a Kompa set that had the crowd in an even more intense frenzy! After the incredible Kompa set, Mr. Cee went into a machine gun paced Hip Hop set that would not let the crowd rest for a second. At this point I forgot about anything outside of that boat. I didn’t think about a drink, a seat, a bathroom break, only vibes. I was surprised when the boat arrived at the dock. I lost track of time and I could tell that my sentiment was shared by many on the boat. Hi-Profyle and Team HKNY are set to overload Times Square on August 27th with “Kompa Rehab vs Zouk Therapy 2: The Broadway Edition”. An Incredible Event for First Class Blue in Brooklyn!